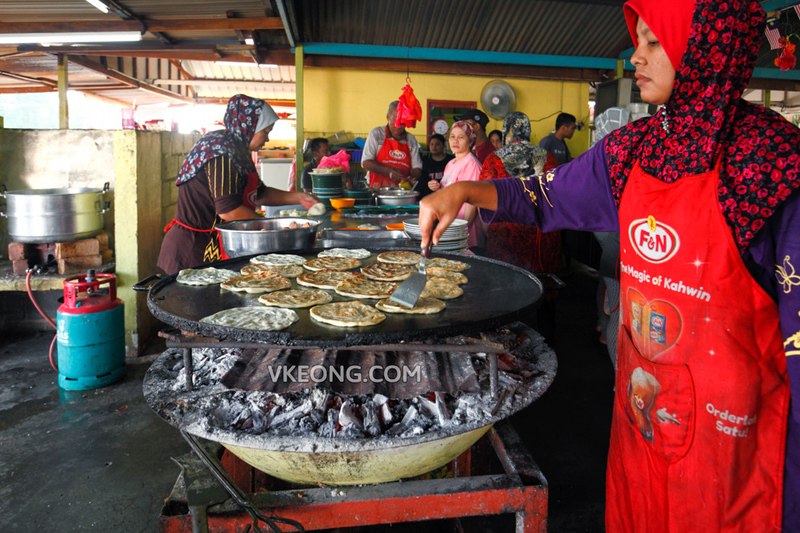 Although I have been a frequent visitor to Melaka, Roti Canai Kayu Arang was completely new to me. In fact, I have never heard of it until last month. 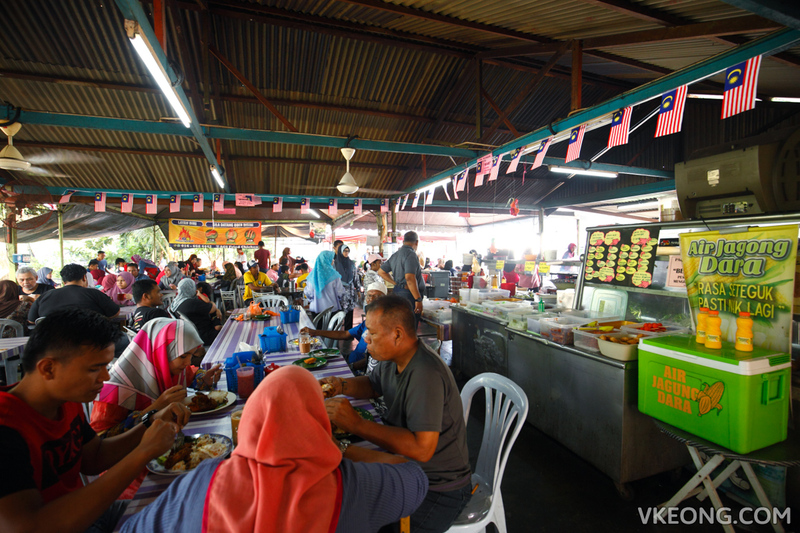 If there’s anything you need to know before coming here, is that this eatery is extremely crowded in the weekends, especially during long stretch of holidays. 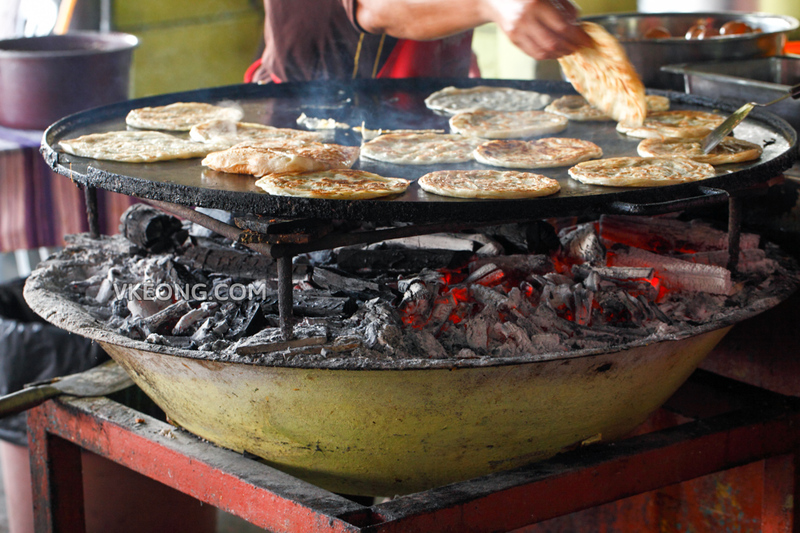 The wait for a simple roti canai could take up to an hour or more. So if you are not the patient type, you may want to skip this as not to ruin your day. Having said that, the reason for the wait has nothing to do with speed. 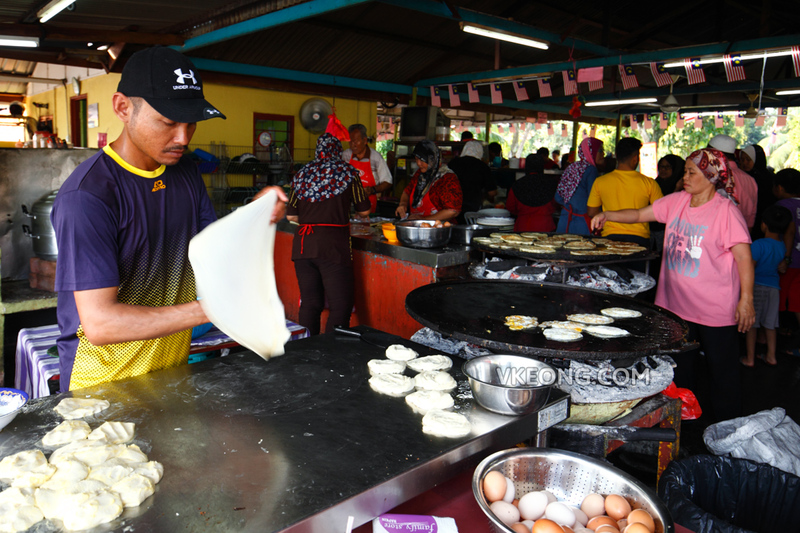 It’s simply because there are too many customers to handle and they can only cook so many roti canai at one given time. Based on our conversation with the owner, we found that roti canai cooked with ‘dapur arang’ is actually not something new. Actually they have been around for decades and have always been a popular spot for nearby residents to enjoy their breakfast. Unfortunately, the proprietor had a stroke not too long ago, so her daughter in law (as pictured above) had to step in to take over the business. Shortly after that, they introduced a new product called Roti Nanchos, which went viral on the social media that attracted a lot of attention. 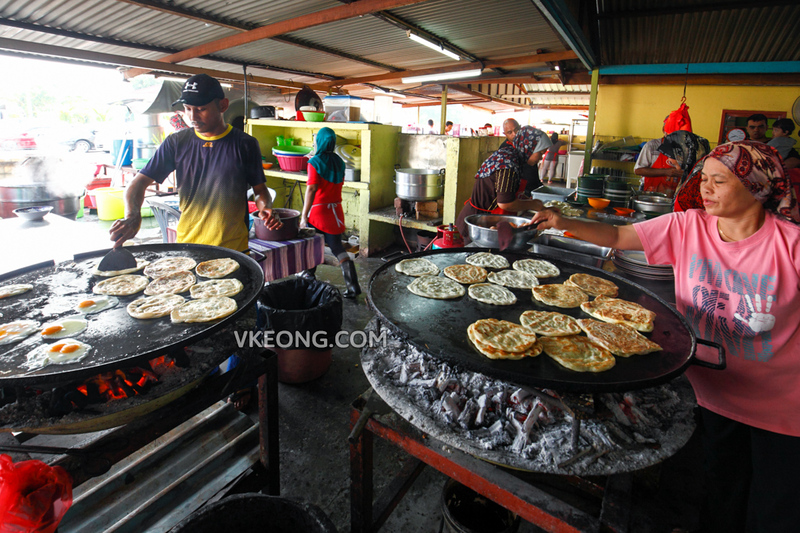 Since then, Roti Canai Kayu Arang has become a must stop for tourists visiting Melaka. To minimize the amount of ash from rising and getting into the food, a zinc roof is placed on top of the burning charcoal. 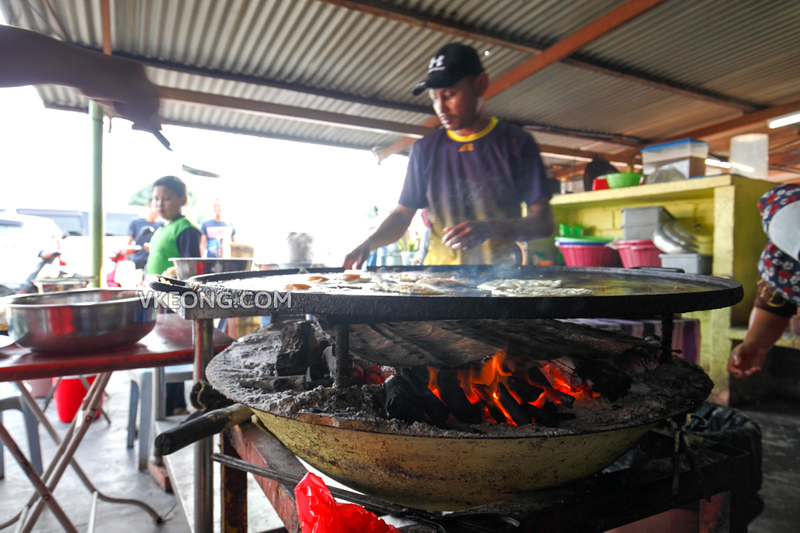 Honestly speaking, the roti canai which had been cooked on the charcoal fired pan tasted not much different from the normal ones. It was crispy and fluffy, and the accompanying dhal and sambal were delicious – no doubt about that. But is it worth the 2 hours wait? 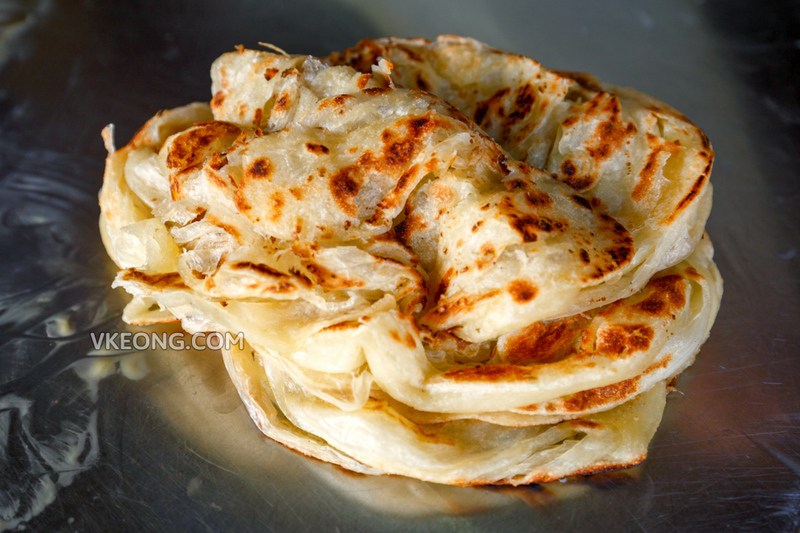 I have to say it’s not, because you can get similar quality roti canai in plenty of other places in Melaka. 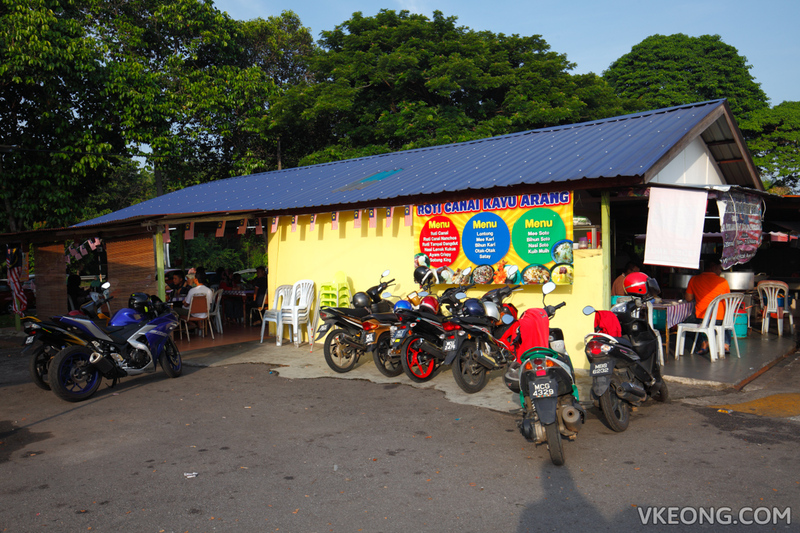 So in order to make your visit worthwhile, you MUST try their Roti Nanchos @ RM6. 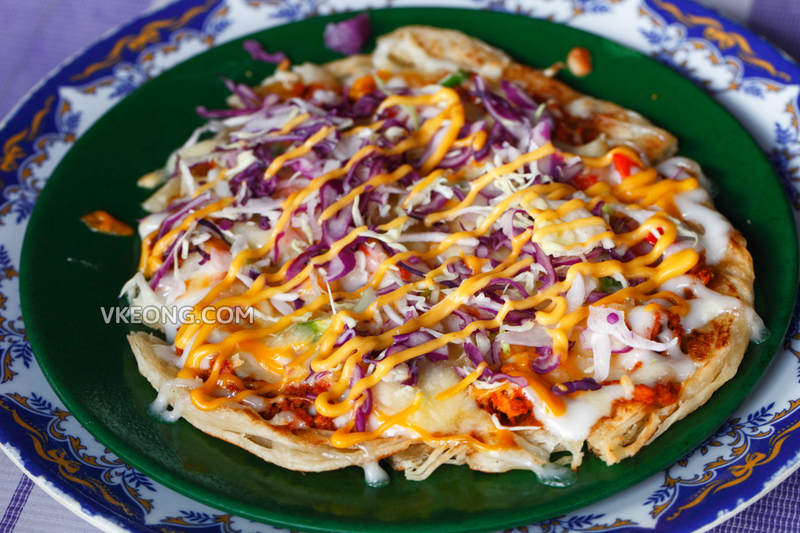 It’s basically a baked roti canai topped with minced meat, bell pepper, red cabbage and mayonnaise. Looks like a pizza and tastes like crispy nachos, albeit a localized version. Roti Tampal ‘Dangdut’ is another roti you should check out. 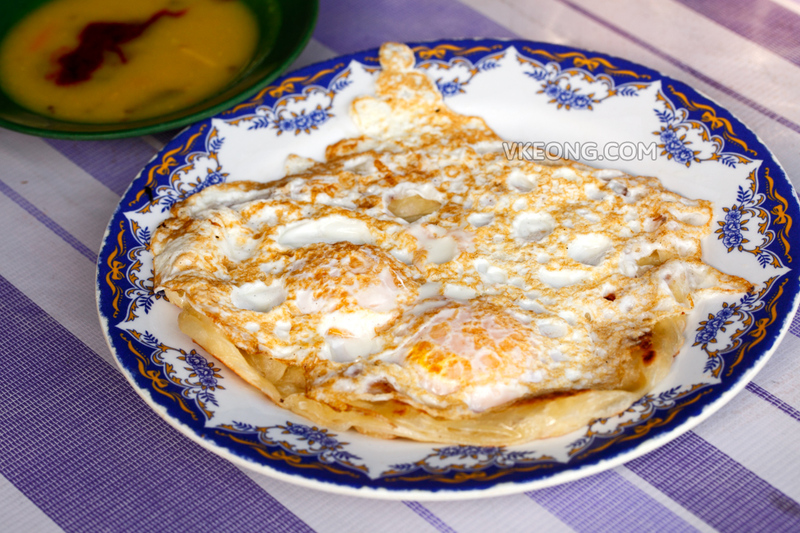 It comes with two over-easy eggs stuck on top, hence the name ‘tampal’. And why ‘dangdut’? Because the egg yolks can vibrate like dancing if you give the plate a shake. While waiting for your roti canai to arrive, I also recommend trying their nasi lemak kukus @ RM2. 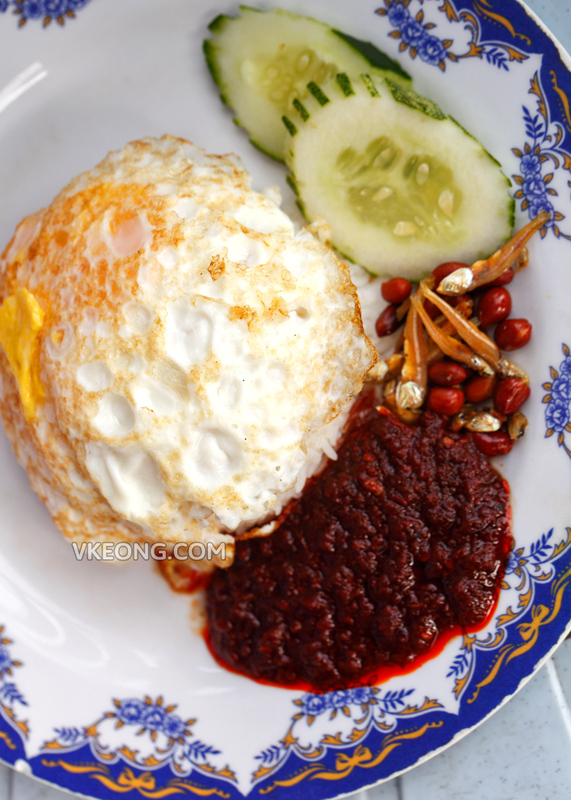 It comes piping hot with freshly fried egg and a good serving of spicy sambal. Some other food available include dozens of Malay kuih, satay and lontong. Lastly, if you are going to Roti Canai Kayu Arang using Waze, it will most likely route you to a back lane through a village. For the sake of convenience I highly suggest that you use Lebuh AMJ to reach here, refer to the Google Map below. 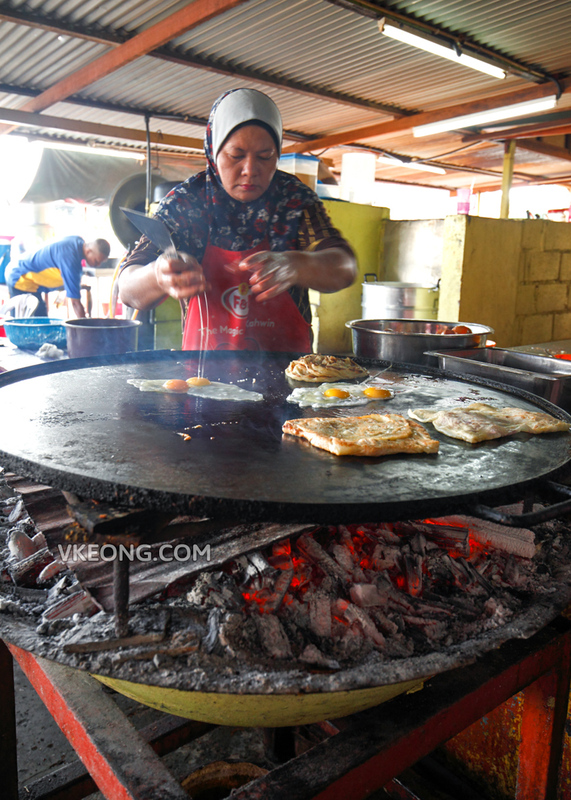 The post Roti Canai Kayu Arang @ Melaka appeared first on Malaysia Food & Travel Blog.